In September, the American Medical Association announced the release of the 2019 Current Procedural Terminology (CPT) code set. “The CPT code set is the foundation upon which every element of the medical community—doctors, hospitals, allied health professionals, laboratories and payers—can efficiently share accurate information about medical services,” said AMA President Barbara L. McAneny, M.D. The CPT Editorial Panel meets three times each year to ensure that CPT codes remain up to date and reflect the latest medical care provided to patients. Eleven (11) physicians nominated by the national medical specialty societies and approved by the AMA Board of Trustees; one of which is reserved for expertise in performance measurement. Four (4) physicians nominated by third-party organizations; One from each of the following: Blue Cross and Blue Shield Association, America’s Health Insurance Plans, American Hospital Association, and CMS. The two (2) remaining seats are reserved for members of the CPT Health Care Professionals Advisory Committee. The panel is supported by a larger body of CPT advisors known as the CPT Advisory Committee. Medical specialty societies, individual physicians, hospitals, third-party payers and other interested parties may submit applications for changes to CPT for consideration by the editorial panel. These applications are reviewed by the AMA’s CPT staff who determines if the request presents a new issue or significant new information on an item reviewed previously. If so, the application goes to the CPT advisory committee for evaluation. CPT codes are updated annually and effective for use on Jan. 1 of each year. For 2019, there are 335 code changes in the new CPT edition. 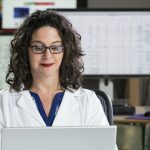 The most significant changes for 2019 reflect the increased use and future potential of connected health tools, such as telehealth. These include three new remote patient monitoring codes, as well as two new interprofessional internet consultation codes. While the AMA provides assistance to help physicians and healthcare organizations transition each year, the process can be overwhelming to maintain for in-house administrative staff. By outsourcing your medical coding and billing services, you can save both time and money while ensuring your practice is always up-to-date with the current code set. Greater accuracy and improved efficiencies will result in a higher rate of return on claims. Don’t wait until the New Year when the new CPT codes take effect. Contact Applied Medical Systems today to learn more about how our certified medical coders and billers can help ensure a smooth transition.